Bats are the only mammals that are capable of true and sustained flight. After rodents they're actually the largest order of mammals, representing about 20% of all classified mammal species worldwide. 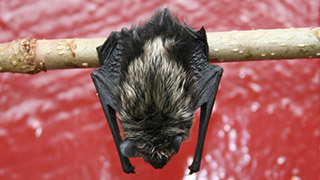 Most bat species live on a diet of insects, some are fruit eaters and there are even bats that eat fish or feed on blood.